Kentucky is a state known for its Bluegrass, its bourbon and its horse racing. It is also known for its coal mines and is regarded as a somewhat rural state with many manual labor jobs, which are considered at higher risk for occupational asbestos exposure. Court records show several Kentuckians filing asbestos-related lawsuits, some against in-state companies, others against national corporations. Although Kentucky is home to well-known U.S. Army base Fort Campbell, built during the World War II era when asbestos products were prevalent, there is no evidence suggesting the base needs (or needed) asbestos abatement. Although there are no known naturally occurring asbestos deposits in Kentucky, mining metal works and construction industries exposed Kentucky residents to asbestos. Newport, Kentucky, received more than 170,000 tons of asbestos-contaminated vermiculite from Libby, Montana, over nearly five decades before shipments ended in the mid-1990s. The small city of Danville, Kentucky, has dealt with more than its share of asbestos issues. In early 2006, survey crews discovered asbestos in floor tile adhesive in a grocery store scheduled for demolition. That discovery required the city to spend $10,000 to abate the store. Two years later, asbestos was found in the city hall boiler room. The city paid nearly $15,000 to have the asbestos removed. Asbestos-containing construction materials were used in schools throughout the nation. Kentucky schools have to be monitored and inspected for deteriorating asbestos products. Occassionally, schools are shut down to conduct asbestos removal projects. For example, in October 2018, Highland Middle School in Louisville closed off a portion of its building after carpentry work may have exposed asbestos materials. The work may have released asbestos into the principle’s conference room. The potential exposure was contained and the school is following federal guidelines to safely respond to the exposure threat. In January 2011, students living at Knight Hall at Georgetown College in Georgetown, Kentucky, returned to school to find a steam pipe leaking inside a hard ceiling. Dean of Students Todd Gambill later confirmed the ceiling contained asbestos materials and arranged for abatement. The school did not order Knight Hall evacuated. Kentucky’s courts have a history of ruling in favor of asbestos manufacturers, and the state’s laws tend to favor corporate defendants. For example, residents of Kentucky have a one-year statute of limitations to file a personal injury lawsuit, which means a person must file suit no later than a year after the injury occurred. Most states allow two years. 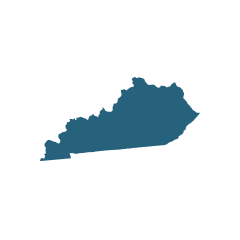 When it comes to asbestos-related disease, Kentucky residents have one year to file suit from the day they were officially diagnosed with a disease like mesothelioma or asbestosis. While many asbestos lawsuits in Kentucky are settled out of court, few make it to trial. The ones that do go to trial tend to end in favor of defendants, though this isn’t always the case. Some Kentucky residents may have other options regarding where their case could be tried in court. The legal doctrine known as “removal of jurisdiction” allows for a lawsuit to be moved from a state court to that state’s federal district court. This action can help plaintiffs have their case tried in a jurisdiction that doesn’t favor defendants as often as Kentucky. 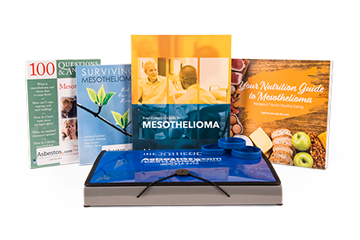 Franklin v. R.T. Vanderbilt Company, Inc.: Flora Franklin was diagnosed with mesothelioma in June 2004 and several months later, she and her husband filed suit against several asbestos product manufacturers claiming her cancer was caused by exposure to their products. A three-week trial was held against the remaining defendants, Vanderbilt, General Motors, Ford Motor and Pneumo Abex. During the trial, General Motors and Pneumo Abex decided to settle with Franklin out of court. The Kentucky jury allocated 70 percent fault to Vanderbilt and awarded $5,200,000 in damages and $450,000 in punitive damages to Franklin. Irwin v. General Motors Corp., et al. : Mary Katherine Irwin, a 70-year-old Kentucky woman, developed mesothelioma and filed suit against several asbestos manufacturers, including General Motors and Georgia-Pacific. In the suit, Irwin claimed her mesothelioma was caused in part by asbestos fibers brought home on her husband’s clothing when he used an asbestos-containing joint compound allegedly made by Georgia-Pacific. Defendant Georgia-Pacific claimed they didn’t make the joint compound used by Irwin’s husband. The Kentucky jury ruled in favor of Georgia-Pacific. Kentucky resident Ronald Dummitt gained a $32 million judgment against a valve manufacturer after he proved he was exposed to asbestos while serving 18 years in the U.S. Navy. Dummitt, from Grayson, Kentucky, served on seven Navy vessels from 1960 to 1977, eventually becoming a Master Chief Petty Officer. While in the service, Dummitt was a boiler tender and replaced parts on ship boilers. Many of the parts, including gaskets and lagging pads, contained asbestos. Dummitt developed pleural mesothelioma and filed suit against Crane Co., which made valves, and Elliott Turbomachinery Co., Inc., which manufactured de-aerating feed tanks, and the case was tried in the state of New York. The jury awarded Dummitt $16 million for past pain and suffering and an additional $16 million for future pain and suffering. Crane was deemed to have 99 percent liability, Elliot Turbomachinery 1 percent.